At every Tiny Chefs class and party children learn how to measure, pour, mix and stir while being free to use their creativity. Kids show a sense of pride when they make something with their own hands. The objective of each class/party is to enhance confidence, skill and pride in each child as they prepare fun and tasty meals. 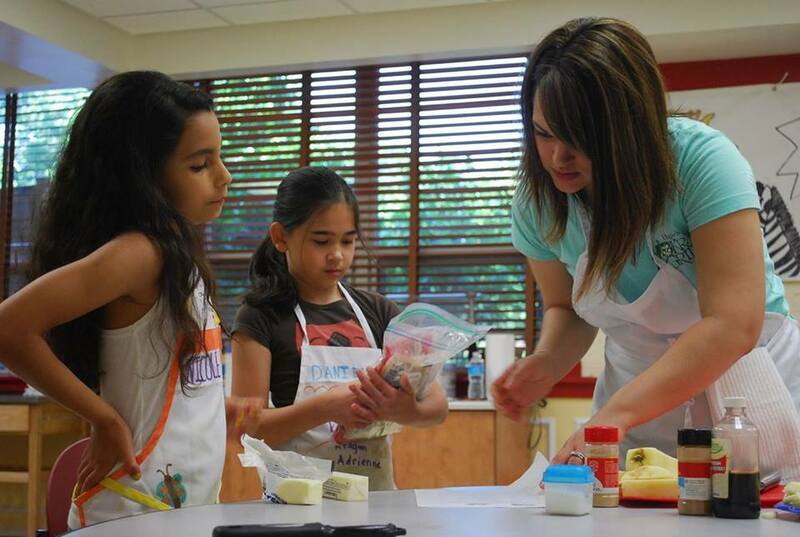 Birthday Parties, Cooking Events & Weekend Classes with Tiny Chefs! We bring the supplies and handle the cleanup and the kids do all the cooking! Simply choose an entree, dessert and/or appetizer from our kid friendly menus and our instructor will come to your house with the necessary supplies. Children will begin the 1 1/2 hour party by decorating their very own chef ‘s hat. As the entree is cooking, children will have time to decorate the placemat and chat with their friends. The kids eat the food they prepare and will receive printed recipes of everything they make. After the party is over we take care of all of the clean up! Book your next party with Tiny Chefs!